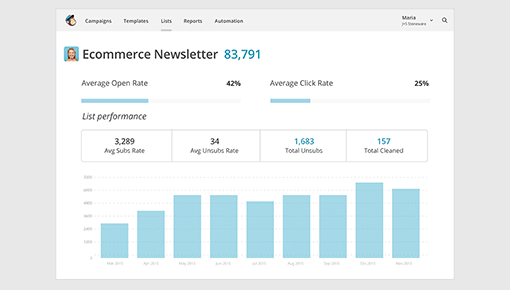 Seamlessly incorporate product recommendations and Dynamic Content into your email marketing campaigns using Dynamic Yield’s integration with MailChimp. Create a consistent recommendation experience across your site and email campaigns directly from within the Dynamic Yield platform. 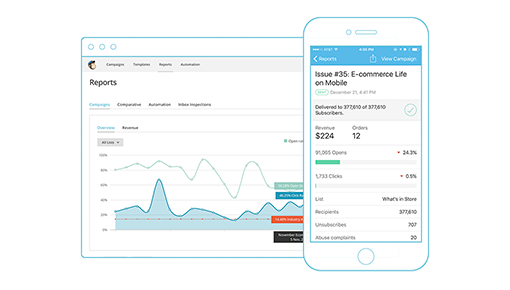 Simply enable the integration with a click of a button and use out-of-the-box code snippets built for MailChimp and begin delivering the most relevant product recommendations and personalized content to your customers. Automatically test, optimize and send emails featuring Dynamic Content and personalized product recommendation variations. Use Dynamic Yield's out-of-the-box code snippets for MailChimp to seamlessly enable email personalization. Allow customer activity to dictate personalized product recommendations that can be instantly incorporated and delivered in email campaigns that render at open time. Incorporate personalized product recommendations and Dynamic Content in email campaigns to engage customers displaying a high probability of purchase completion. Deliver personalized recommendations to engage customers displaying repeat purchase intent.